Piping and Instrumentation Diagram (P&ID) is a technical drawing that shows the details of piping and instrumentation of a processing plant. P&IDs are developed at the design stage of a plant by process design engineers. Then they are used at the construction and operating the plant by construction teams, operators, instrumentation and piping engineers. ConceptDraw piping and instrumentation diagram software works across any platform, meaning you never have to worry about compatibility again. 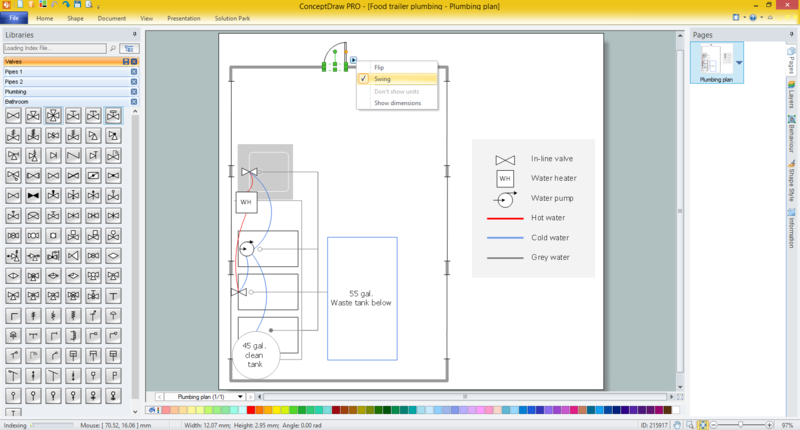 ConceptDraw DIAGRAM allows you to make piping and instrumentation diagram on PC or macOS operating systems. 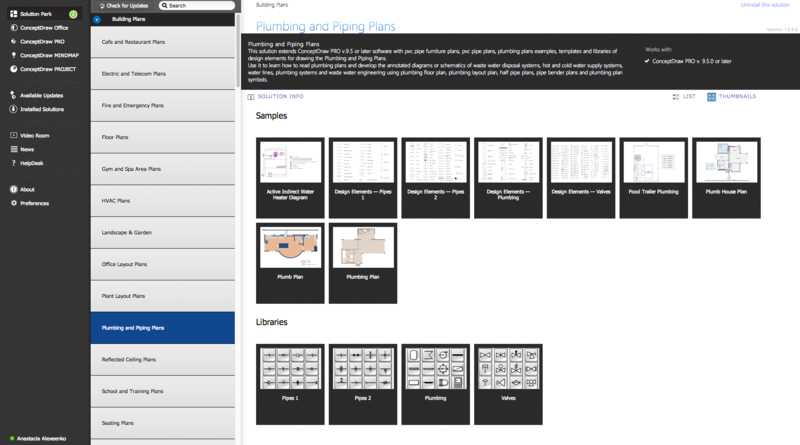 ConceptDraw DIAGRAM provides Plumbing and Piping Plans solution from the Building Plans area of ConceptDraw Solution Park. Use the design elements libraries "Pipes 1" and "Pipes 2" for drawing plumbing and piping building plans, schematic diagrams, blueprints, or technical drawings of waste water disposal systems, hot and cold water supply systems. 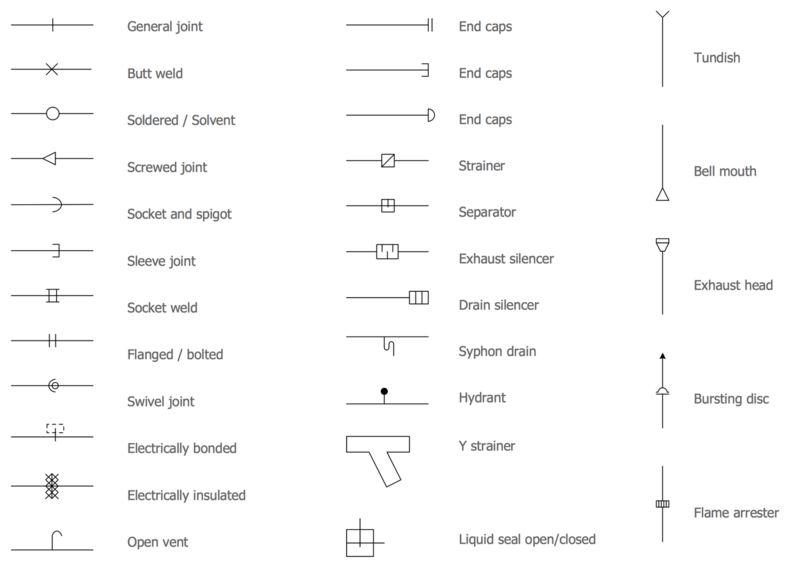 Use the design elements library "Valves" to draw building plans, schematic diagrams, blueprints, or technical drawings of industrial piping systems; process, vacuum, and fluids piping; hydraulics piping; air and gas piping; materials distribution; and liquid transfer system. 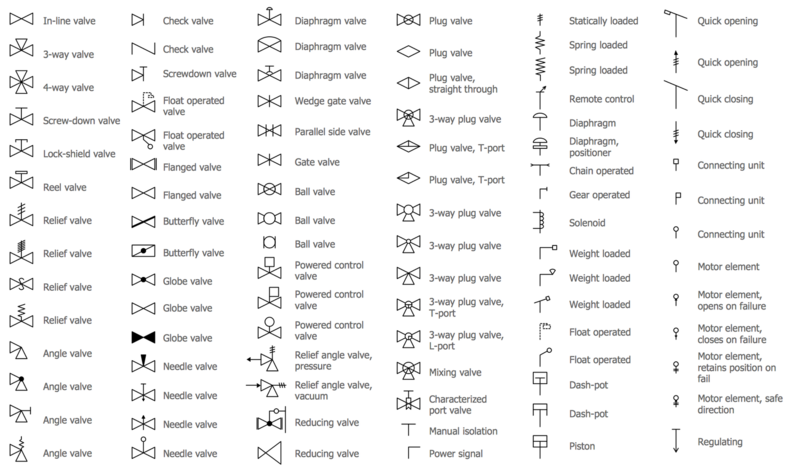 Plumbing library contains 31 symbols. 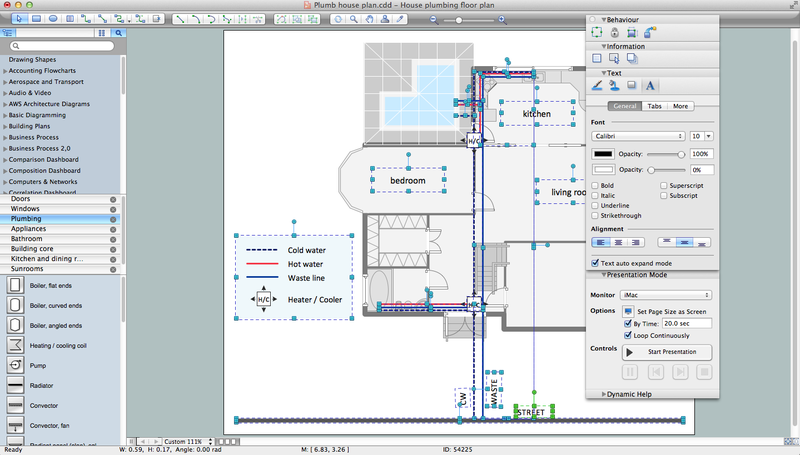 Use the design elements library "Plumbing" for drawing plumbing and piping plans, schematic diagrams and blueprints of waste water disposal systems, and hot and cold water supply systems. These libraries contain 138 shapes of pipes, valves, pumps, boilers, tanks, and other sanitary equipment. You can simply drag-and-drop them from the libraries into your document and use for designing your piping and instrumentation diagrams. 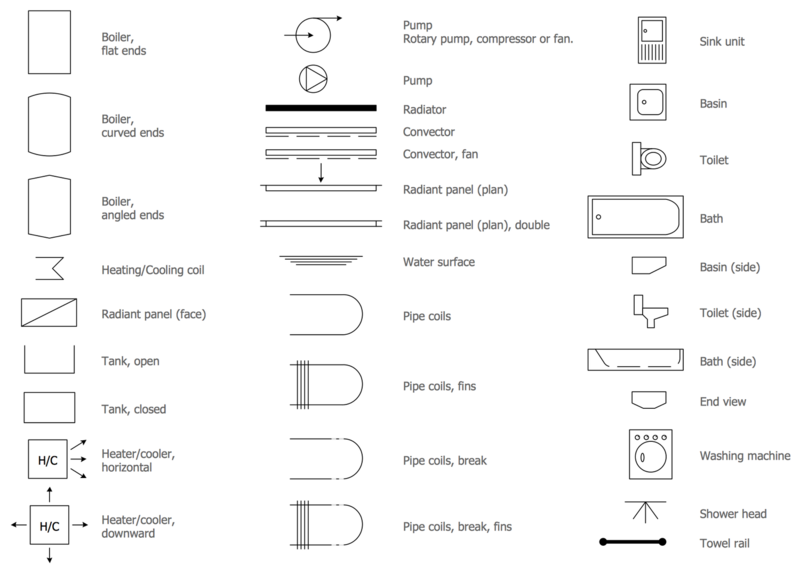 Plumbing and Piping Plans solution from the Building Plans area of ConceptDraw Solution Park contains a large number of templates and samples. 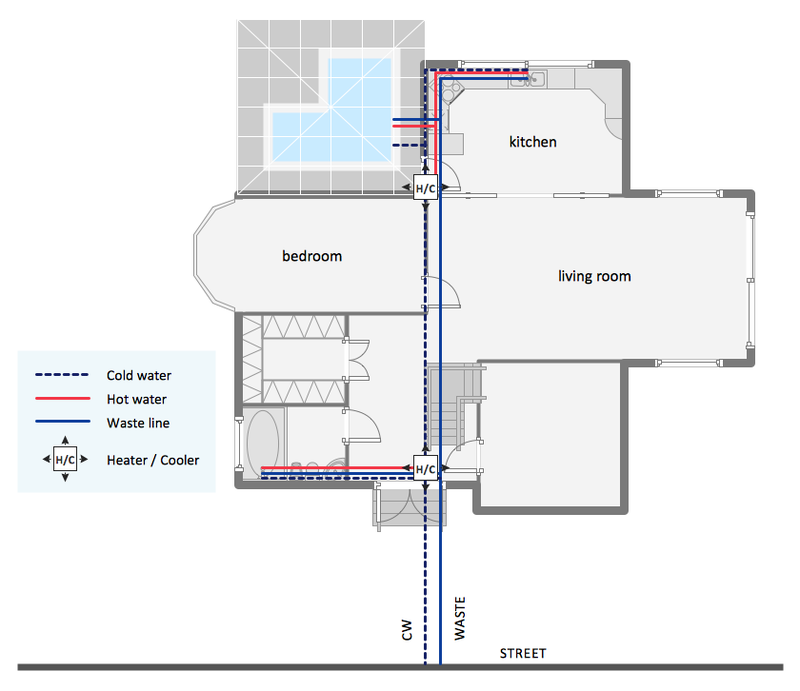 This sample was created in ConceptDraw DIAGRAM using the Plumbing and Piping Plans solution and shows the Piping and Instrumentation Diagram of the house. Use ConceptDraw DIAGRAM diagramming and vector drawing software enhanced with Building Plans solution to draw your own plumbing & piping plans, schematic diagrams, blueprints, annotated diagrams or technical drawings of waste water disposal systems, hot and cold water supply systems, water lines, plumbing systems and waste water engineering. 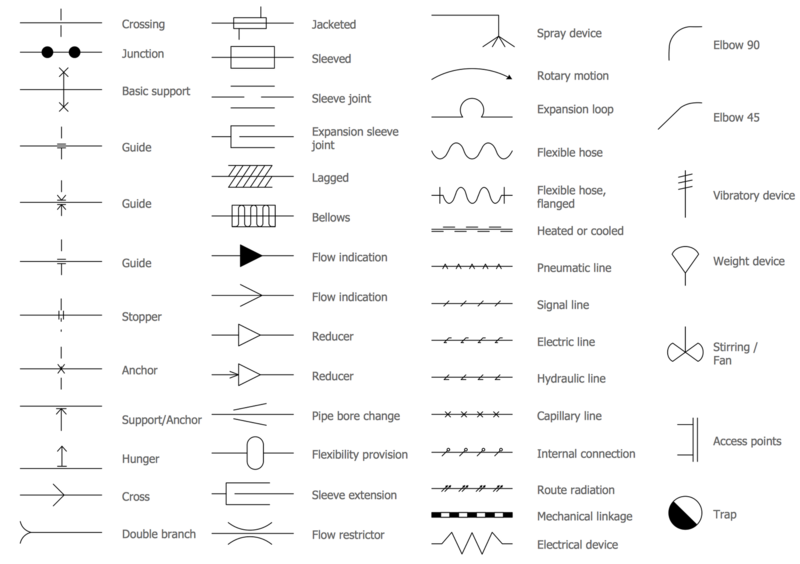 The Piping and Instrumentation Diagrams produced with ConceptDraw DIAGRAM are vector graphic documents and are available for reviewing, modifying, converting to a variety of formats (image, HTML, PDF file, MS PowerPoint Presentation, Adobe Flash or MS Visio), printing and send via e-mail in one moment.